Minako Taguchi received her Master’s Degree and Graduate Diploma at New England Conservatory of Music, and her Bachelor of Music from the University of Arts in Osaka, Japan. She was a member of the New England Conservatory Honors Woodwind Quintet. 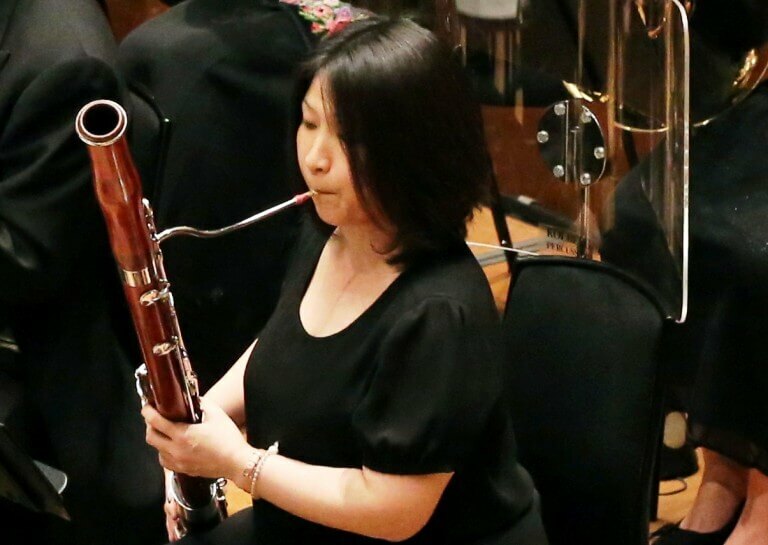 Before joining Hong Kong Sinfonietta, Minako was Associate Principal Bassoonist of South Bend Symphony Orchestra and Kalamazoo Symphony Orchestra in the USA. Other orchestral experiences include the Isabella Stewart Gardner Museum Chamber Orchestra, Hingham Symphony Orchestra, the Boston Philharmonic Orchestra and many orchestras in Japan. She has been bassoonist of Hong Kong Sinfonietta since 2005.